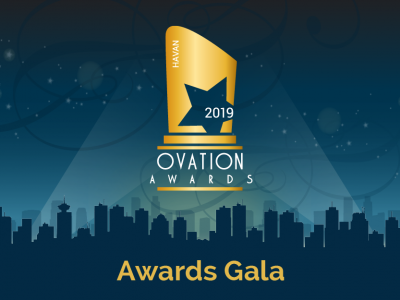 The Ovation Awards Gala is THE night to celebrate our industry-leading builders, renovators, designers, architects, associates, and sponsors. We will again be hosting the Gala at the JW Marriott Parq, at the Parq Grand Ballroom, the perfect backdrop to celebrate members’ achievements. Directions to the Parq Grand Ballroom: Conference Level or 4th floor. In the elevator, the button to press is “CF” (Conference Floor). A physical ticket will be mailed to you 10 days before the event. Dessert: Dark Magic Chocolate Mousse with Macaron (Gluten-free, dairy-free, and vegan dessert options available upon request. When registering, please indicate your entree of choice and highlight dietary restrictions (if any). Tickets are available to all members. The JW Mariott Parq Vancouver has offered us a special group rate for guests intending to stay overnight prior / after the event. Click here to book your room. This rate is available until April 20, 2019. 6:00 p.m. Doors open. Champagne welcome reception.